2.2. 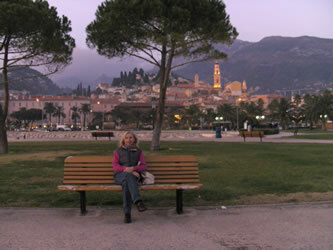 Wintering in Menton, France, 2007-2008. 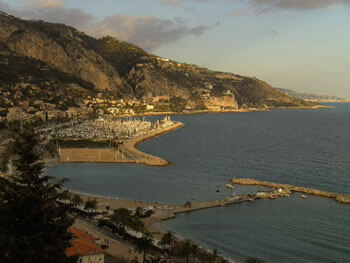 We are now in Menton since about one and a half month and we don't regret our choice - until now - to winter here. We arrived here at a bright sunday afternoon at the end of October, after a calm trip from Beaulieu - motoring - close to the coast. The view from the see is surprisingly beautiful: steep mountains behind it and various colours of the houses around the old harbour. 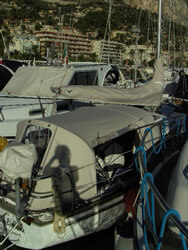 We have our winter berth in Menton-Garavan, about one mile from the old harbour. Garavan harbour is a very good all round shelter although with strong winds - especially from the East - the whole harbour is in slight movement. Ropes with rubbers and a lot of fenders are recommended when the beaches are washed by big rollers.The old harbour is then like a rolling anchorage: even big boats are wobbling heavily. We would never leave our boat there and go home for some weeks! 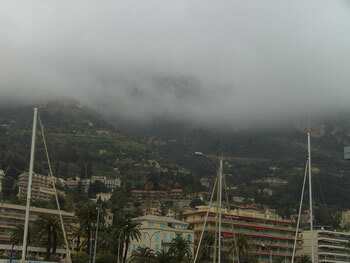 But, strong winds in Menton are rare - says the harbour master. At our arrival we received a warm welcome, and after a little bit of confusion about which berth was for us, we eventually got No. 477. We made our reservation about six months ago by e-mail and had almost immediately a positive answer. We paid an advance during the month of August. 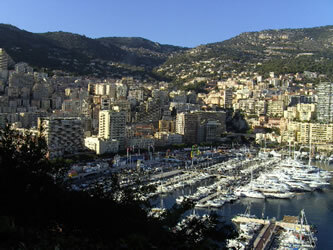 There is a wi-fi in the Garavan-harbour: 250,- euro for 3 months 24H/24H connection by Tekworld, it works well. The facilities are OK (even a heater in the shower cell!) and we pay 1032,- euro for the five winter-months. 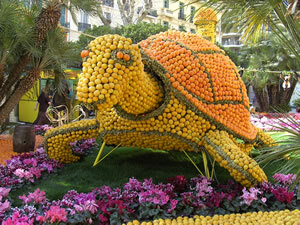 Although Mention (www.menton.fr) is a small town, there is a lot to do and also Monaco and Nice are nearby because there are very good bus and train connections. Not only the old town is very pleasant to stroll around but there are numerous of beautiful gardens where even in December flowers are very present! 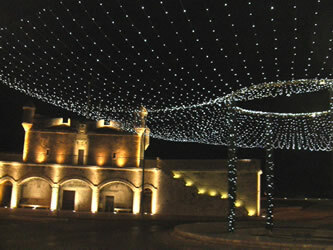 We speak and understand commonly French, so theatre and conferences - and our Italian lessons! - take also part of our various occupations. 24.01.08 After a period of very variable weather - since New Year - with much rain, it seems that a shy early spring-atmosphere is trying to amuse the harbour and the town: blue sky, sun and 17°C. 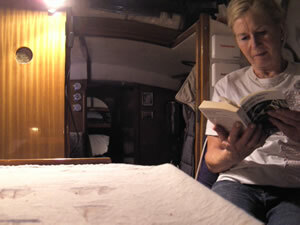 The strong winds have spared Menton but the rests of a light but sometimes nasty swell created frequently a boat-ballet witch required many times to adapt our fenders. During the weekend boat owners are appearing, here and there, to inquire about their sail-, deck- and cockpit covers, half-unfasten foresails and halyards. The - a little bit haughty - indifference of the - mainly Italian - pontoon neighbours gives more and more way to hesitating and shy salutations - Buongiorno, Buonasera. Also some interrogative looks, towards those Belgians in their little sailing boat, who are wintering here ... and, apparently, are surviving this! "Alors, Monsieur, l'hivernage, ça se passe bien, ça vous plaît ...?, so hazards a rather well French speaking Italian Cognac-owner. While Eric is adjusting the fenders, he comes and engages into a little chat, "la Méditerranée, c'est une mer pas facile, les coups de vent ... mais la navigation est plus facile que chez vous ... tout de même, il faut faire attention ..."; a little bit farther some motorboat-couples - the ladies high on their stiletto heels - are looking a little surprised and inquisitive in our direction. A few minutes later apparently they are talking about us! Our immediate neighboursalso appear: nice people - with dog! - ; rapidly they reassure us, because on the art of driving a boat and on matters of harbour manoeuvre, here, you can see very particular things, no, they navigate not often, "my wife is afraid at see"! 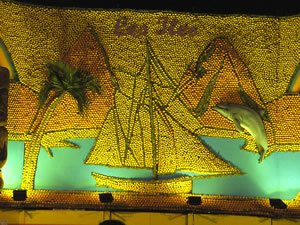 19.02.08 Menton lives now on the rhythm of the 75th Fête du Citron. 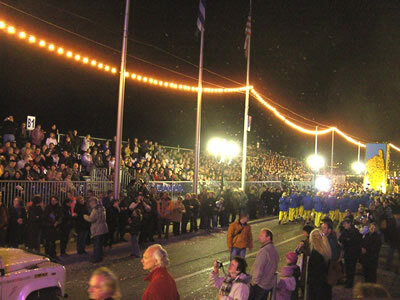 With full busses the visitors and tourists arrive from all European and other countries: they come to see the Corsos ( the Parades ) , to visit the gardens - Les Jardins de Lumières - to cheer the Show of the Islands - le Spectacle des Iles -, to admire the numerous fireworks. 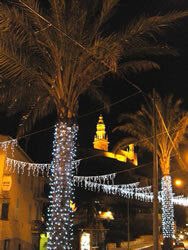 The Fête started on last Saturday the 16th and will end on the 5th of March. 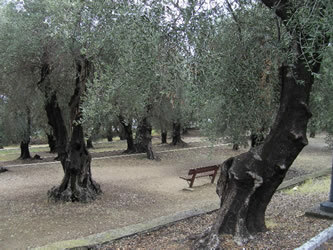 The large Boulevard of the Jardins Biovès, which's crossing the town from the Casino - on the seafront - to the railway bridge, in the direction of the Route de Sospel, is with the Promenade du Soleil - along the seaside - the centre of this event which hand over the city to this carnival of giants, bands and fanfares. The weather is encouraged to be mild but during the first days of the celebrations it seems to ignore this. In the harbour we are a little bit away from the carnival noises: if around the Casino, in the Biovès Gardens and along the seafront, drums, whistles, tam-tams, and music are resounding, in the Port de Garavan reigns relative silence and quietness - at least during the week! Slowly we are preparing to the separation with our pleasant haven, where we are passing the winter. We got our Imray charts of the Greek Ionian sea, Kaat has finished her work of colouring the Tidesend charts for Italy and is now updating and correcting. Through our readings and by the genius of Homeros we are still navigating as companions of Odysseus along the coasts of these mythic seas... In other books we ( again ) get absorbed in the lives of Françoise Giroud and Danielle Mitterrand, when a certain prestige of France was charming us, when a certain political culture was not the chimeric and whirling mirror of one man. When despite the deceptions, the breath of Hope was stronger, more fertile, more beautiful than the feverish and desolating hustle and bustle in the media window. 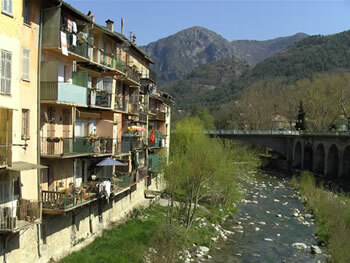 But further on we are discovering - or rediscovering - the hinterland in the company of Michel and Maddy. 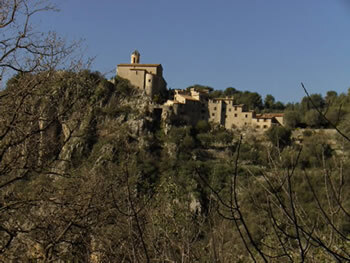 So, a first trip brings us in the highland behind Monaco to Peillon , Peille and La Turbie - and the Trophée des Alpes, a monument on the Via Iulia Augusta dedicated to emperor August. One week later we discover great panorama's in a mountain walk behind Garavan : from the Plan du Lion and the Carpano mountain, we will see in the north the snowy summits of the Alps , in the east the Ligurian mountains and the coastline to San Remo, in the south, the blue of the Mediterranean, bathing in the warming sunbeams, in the west the islands, the Riviera and the Massif de l'Esterel. These solid walks let us appreciate the majestic and great beauty of this highland, the sometimes austere charm of the villages , the silence on the GR52 who's inviting us in his marks, still bordered by numerous opening flowers promising the good season and herbs seducing our senses by their perfumes and fragrances. The rates of the shipyard in the harbour are more than prohibiting and their quotation much to extensive in regard of the limited maintenance needed by Nehalinnia : check and possible replacement of the anodes, limited intervention on the propeller and on some parts of the underwater ship. On advice from the Nieuwpoort' shipyard Ship Support we have let apply - with care - several coats of hard antifouling which have well saved the cleanliness of our ship. Abandoning the offers of the shipyard to the big-yachts which get there very complete works and maintenance, and following the advices of our friends in the harbour, we enquire to a diver who's rates are more according to the dimensions of our small sailing boat! 04.03.08 A short but frequent staying relative low in the vicinity of the Ligurian see brings, south of the Riviera, disturbances over Corsica. 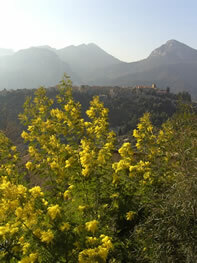 So the popular weather-forecast that during the Fête du Citron the weather is capricious, in confirmed this year too. Not really bad weather but variable cloudiness, at times rainy, then sunny, a misty coldness falling from the mountains, many times low clouds and more windy, but also nice early summer weather with more than 20°C. 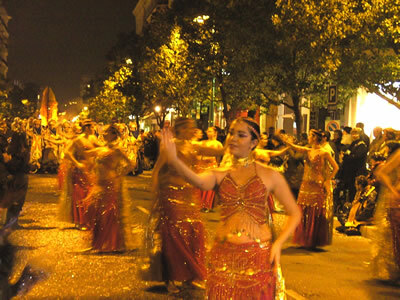 But the Fête goes on and so the " crowdedness " in town. 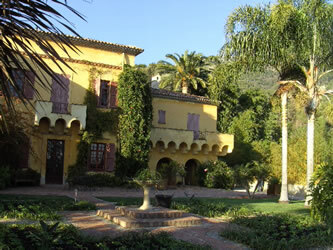 We were lucky: on the night Corso with marvelous firework the weather was nice, although a little bit fresh, and when we have visited the gardens - les Jardins Biovès - it was under a warm and sunny bleu sky! 10.03.08 Our son Olivier arrived Thursday for a short but warm reunion; the weather didn't take part in our rejoicing: heavy showers, drizzle, and new rain are determinating his flying visit! From the high of the Boulevard de Garavan he only will remember the picture of a sodden town, a dark and grey sea, a lost sky-line. From the room of his hotel, the memory of a drowned and deserted harbour. But Gran Café's delightful hot chocolate, the flavoured coffee at Ange's Jardin du Café, Kaat's marvelous keftèdès-plate enjoyed under our warm cockpit tent, are taking part in this brief celebration. 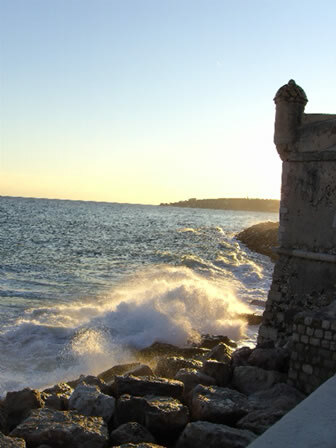 On Saturday noon, already, the Aéroport Express bus takes him to Nice. Time to work: our boat never makes it easy. Eric Neels has sent us our new plotter: frequent software problems on our laptop have decide us to double the lecture system of our electronic Navionics charts. The installation, yet easy, isn't, like always, obvious on our little boat. An other work is waiting for us since some time: two times already we had to replace the synthetic two way Alppa valve of the black water holding tank. The metal shaft and the plastic house aren't good working together so the system is remaining half open to both pipes. Manuel, who's well known for his excellent work with 316-stainless, realises for us a Y-valve which should bring a more reliable solution. Before the assembly of the system we have to clean and replace - without hesitation - the whole pipe work - only three years old! - because the pipes have lost by tart 1/3 of their 38 cm diameter. Heavy rain and thunderstorm are back after a rather quiet sunday. While a storm is attacking the coasts of W-France - low Irish sea 955 hPa - the associated disturbances have their influence into the Med: the 1014 hPa low on the S of France is deepening 1007hPa and moving to the Golfe du Lion. In the same time, from the SE, a little but very active warm front is crossing through the Ligurian sea. So, horrible weather. 11.03.08 The high-pressure is back: forgotten the rain, the bad weather, the wind, the storm warnings; now: the sun, the bleu sky, nice ... but a little to late! 23.03.08 Spring. 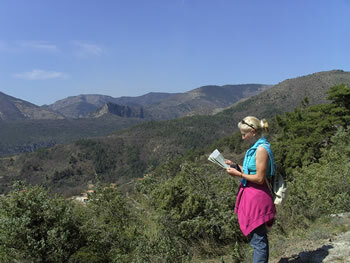 Pleasant walk from Castillon to La Pierre pointue. Easter. After a period of nice weather, today it's quite different. Coldness and clouds. 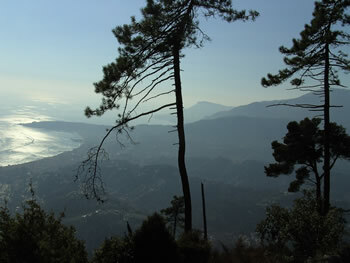 Yesterday was a nice but windy day, 45 hectares above Garavan were burning: the fire was only at a few meters from the first, high situated houses, the Canadairs ( water bomber ) were "skimming" the flames by their flying ballets, the fire-men were fighting against the fire in the copses and the pine forests. Smoke and ashes in the harbour ... The night colouring red and orange, and blue too by the lights of the fire-brigades. 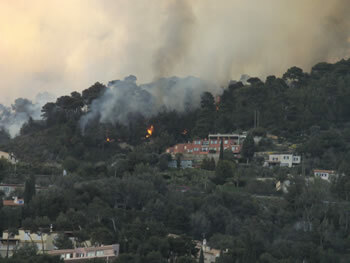 On Easter Sunday, in the morning the Canadairs are back to extinguish the last fires. 28-30.03.08 Summer Time. Sunny days and nice temperatures. Thunderstorms. The weather forecast predicts still a lot of wind but here, in Garavan, we hardly feel it. Some mountain summits are still covered with snow. Then the nice weather comes back and we take advantage of it for our "after winter" works. spray hood. Today Kaat climbs in the mast for a check and a cleaning. On our bow step we want a better system to fix the passerelle: Manuel, - he has his boat in the marina - has a stainless workshop in Torino and Oswaldo - a technician who has transferred his engine workshop from Torino to the Garavan-harbour - will do the work; Oswaldo gives us a lift to Ventimiglia where we find in the wood shop Centro legno teak wood for renewing the bowstep. On next Sunday, as they promise, the new construction will be fixed. 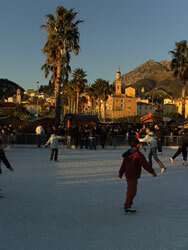 From our trip to Ventimiglia we take the opportunity to buy an Italian Vodafone-SIM-card. 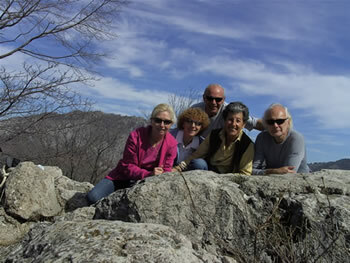 07.04.2007 With Michel and Maddy we have a last nice walk on the heights of Sospel. In the late afternoon, we say goodbye to Delia Santori: she is still renting small holiday houses on the Vasta supérieure, on the marvelous hillside of this beautiful small town near the road to the Col du Turini. She's also still running the farm that she and her husband - who died a few years ago - acquired about sixty years ago, when they arrived in France as Italian immigrants from the Ancona region. We also say goodbye to our school-fellows of the Italian course: the delicious quiche lorraine, prepared by Marie-Anne, is celebrated with many drinks to our project. We thank our professoressa Patrizia with little presents in according of her original and engaged didactic style! But, a period of bad weather postpones much longer our departure!